Once your previous step is done creating, you'd be creating another step. That could be done by clicking the '+' button from the sidebar. The right sidebar shows the quick summary of the currently made steps and by clicking any of them, we could further explore their properties and workflow. After clicking that, the following UI interface would pop up where you can again choose the type of the stage for the next step you look forward to add. 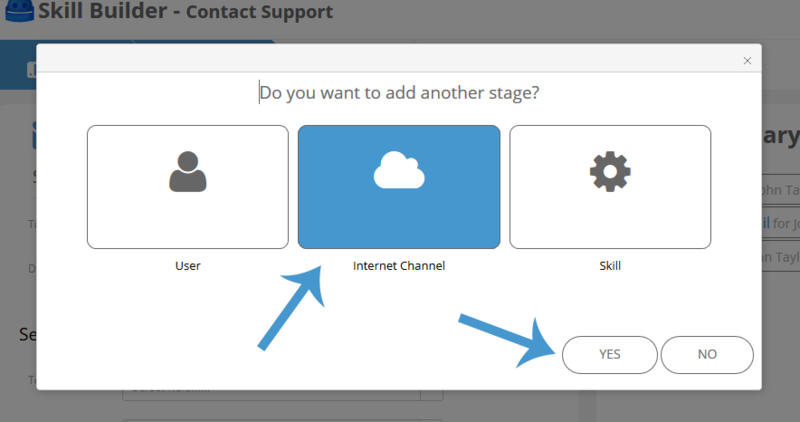 In the next section, we'll another two more steps that would be based upon the 'Internet Channel' e.g Send Email and Send SMS.